I had the rare and privileged opportunity to spend the morning with high-end interior designer Eric Egan at the Il Ponte auction house in Milan. Eric Egan is known in the ‘Fortune 500’ circles for his gorgeous residential transformations, restorations and for his collaboration with prestigious luxury hotels creating spaces, which are reserved for only the most exclusive clients. Egan’s magic touch has embraced the homes and guests of hotels around the world in Europe, North America, South America and Asia. Apart from his eloquent charm, his dual nationality and knowledge of more than four languages gives him the advantage of “getting in on the inside” which not many other creative talents are able to accomplish. 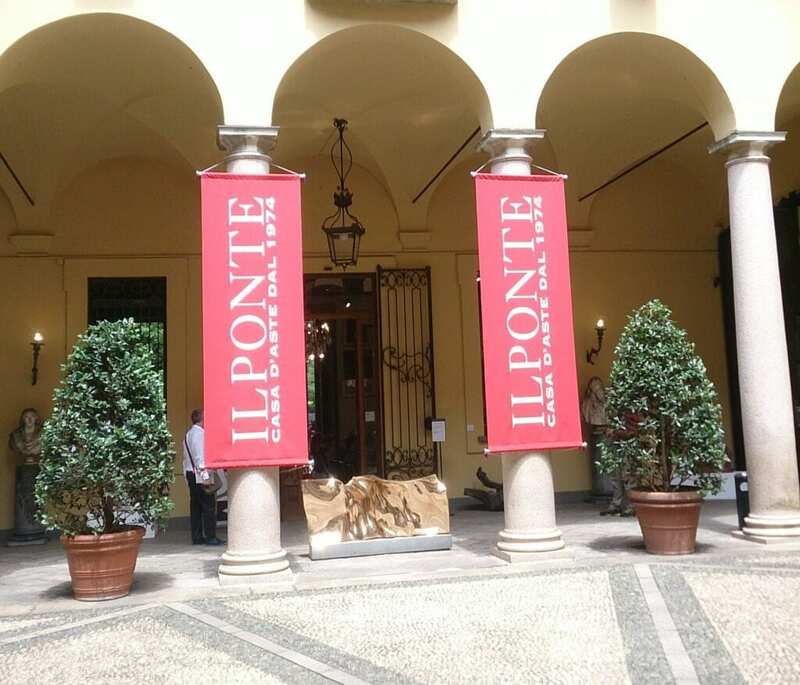 Today we are at Il Ponte Casa D’Aste which was establish in the early 1970’s and is renowned for some of Italy’s most historical auctions such as the auction of Villa I Pioppi in Sassuoloin and the inheritance of the Castaldi Pasqualini family. In May 2010 the Milanese socialite and fashion designer muse Evelina Levi Broglio’s wardrobe was auctioned and recieved widespead media coverage for the 22 Hermès Kelly handbags, the dresses by Capucci Christian Dior, Givenchy, Yves Saint Laurent, Gianfranco Ferrè, Gianni Versace, and Chanel suits which were auctioned in three separate auctions. 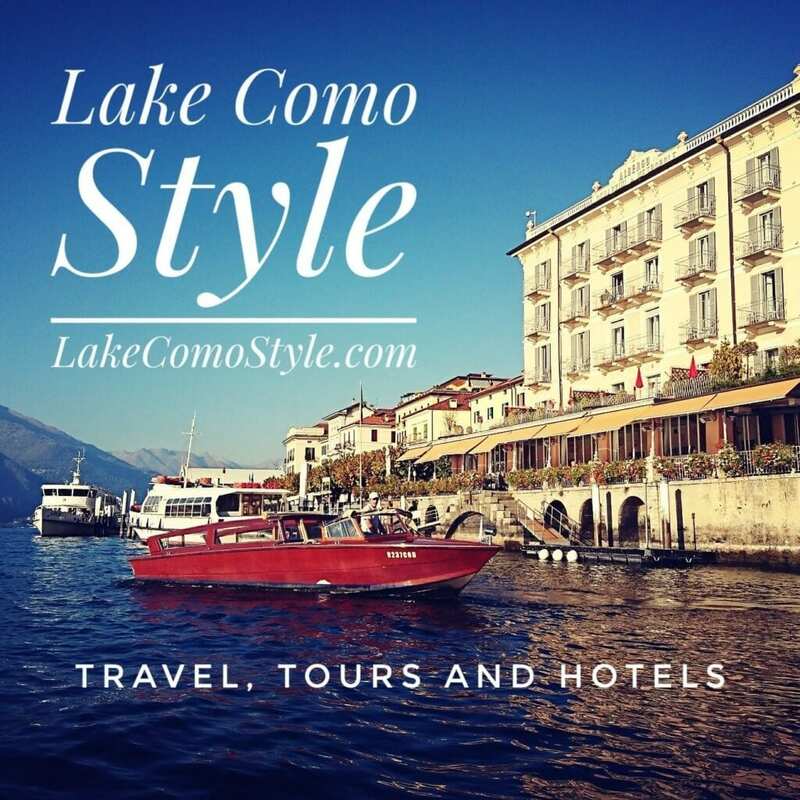 Il Ponte is also well known for their generous collaboration and fundraising for Fondazione per la formazione oncologica (Oncology Research Foundation). Housed in the grandeur of Palazzo Crivelli, a Rococò palace once inhabited by Milan’s most powerful noble family; the Crivelli family, it is now realm to international art dealers, interior designers, magazine editors and private collectors. The feature auction is Arte Moderna – Modern and Contemporary Art, which includes paintings, sculpture and mixed media artwork by the art world’s most prestigious names. The catalog is a who’s who of modern art; with names such as Morandi, Severini, Giò Pomodoro, Vangi, Picasso, Robert Barry, Warhol, Calder, Lucio Fontana and the list goes on. Entering the Palazzo Crivelli is a large open courtyard, neatly decorated with sculpted buxus shrubs. There are three rooms full of guests anticipating the opening hammer knock. The items are always displayed to the public in the two to three days preceding the auction giving buyers the opportunity to inspect the condition and beauty of each item up close. The large salon, which was once the ballroom, is where most of the items are displayed. The other smaller parlors also hold display cases and exhibition space. Because today’s auction is modern art, the contrast of the two huge “Giano” by Luciano Bartolini, majestically hanging across from the seventeenth century frescos enhances the originality and modernistic presence of the pieces. Today, Egan is on the look-out for Warhols; for both his own private collection as well as for the new gallery/work space he will be inaugurating in October at Piazza Castello. (More news to come as the work progresses). There are eight pieces by Warhol in today’s catalog. I arrive just minutes before the opening hammer. Egan has a seat next to him in the second row, which he has gallantly had to defend to keep free. We quickly exchange ‘hellos’, but the hammer has struck. Silence takes over the room and heads turn to the front pedestal where an elegant blonde in black lace, proceeds with item number one: an Alexander Calder from 1976. The biding starts and the red pallets are raised. There is also a pool of operators live online by phone and computer with bidders from all over the world. You can hear their whispers in Latin, Germanic and Middle Eastern languages. The three auction rooms are linked by audio transmissions relaying messages from a moderator in each room, but it is the woman at the pedestal with the hammer who closes the final offer awarding the buyer with the highest bid. Throughout the auction, the bids start at the auction house valuation price and bids are increased by 200 euro at a time, once bids reach €4000, the bids are increased by 500 euro. The buyers online remain anonymous, as do the buyers in the room, it’s not as if they announce the buyer’s name, but you can feel that the “regulars” are checking out the new faces and watching what you bid on or show interest in. There is an assortment of personalities in the audience. There’s everyone from the young hipster-architect- geek to the forty-something woman in jeans and t-shirt, from the disheveled older gentleman to the uber-posh business woman. Surprisingly enough, the older gentleman, who seemed to be a passive spectator and at one point shuffles out to get some air, returns to start bidding on “Veduta di Comacchio” by Tato. The bidding started slowly but the pace picked up, quickly hitting the €4000 mark. At the four thousand mark is where things get interesting, instantly I become more attentive more interested. Unwillingly I started thinking, “I need to get in on this – maybe I undervalued this cityscape, maybe I’m losing an opportunity!” Thank goodness, I didn’t have a pallet of my own! My husband would have killed me if I had come home with a €6000 auction slip! Unfortunately, Disheveled Gentleman had to pull out and lost the bid; slumping in disappointment. But shortly afterwards another Tato came up. He bolted straight up, he really wanted it! He was so disappointed by the first attempt -he was up and alert. The second Tato is described and projected onto the video monitors, and bidding starts. The bids go higher, €3200, €3400, they reach the €4000 mark. This means serious bids. The next offer is €4500, Disheveled Gentleman raises his scarlet pallet. The next offer price is now up to €5000, the auctioneer scans the room. She looks at the telephone operators. There are no additional offers. She asks confirmation from her colleagues in the other rooms. There are no offers. With an ever so slight beam of complicity and genuine happiness, the auctioneer says “Aggiudicato al signore in prima fila a €4500!” “Awarded to the man in the front row at €4500.”And she slams down the hammer, smiles and nods at Disheveled Gentleman. His disappointed frown turns into a full-on smile of relief and satisfaction. The clerk brings him an auction slip to sign confirming his purchase, which he happily signs with a scribble. The auction continues. Several times during the auction this morning, the auctioneer has looked and nodded towards me. I don’t even have a pallet and I was a quite concerned that perhaps she had misinterpreted my fidgeting for a bid, but I soon realize she is targeting the uber-posh business woman sat behind me who has attempted several times to bid on items. She is sitting directly behind me; I can hear her conferring with her neighbor when an item is shown up on the monitor. She seems to be there more for sport than anything else. “Il divano giapponese” by Bruno Caruso 1966 comes up and she’s interested. There are no bids at the house valuation price, so the initial bids start lower. The bids are raised but are slow and reluctant. She holds her pallet, ready to raise. The last telephone bid has come in, she needs to decide to continue or not. She lifts her arm. Her confidant is murmuring. The hammer strikes! “Aggiudicato alla signora nella terza fila a €2000!” “Awarded to the woman in the third row at €2000!” Uber-Posh lets out a squeal of delight like a four year old on Christmas day. Rightly so, she got a Bruno Caruso for less than the house valuation price. She nearly bounces out of her chair reaching for the auction slip. It does happen sometimes, such as in this case, that a piece is auctioned for less than the value price. It is also not unheard of items not being sold at all. Some items just don’t get any bids. On the Il Ponte website, they state that unsold lots can be negotiated privately with the auction house directly. Meanwhile, Egan is next to me. He jots down notes on the catalog pages with his Montblanc. Comments for his own future reference on how the auction is developing or his notes on the condition of an item upon pre-auction inspection. Every once in a while, he’ll break his serious composure to pass me a personal note or humorous comment. There are hundreds of items up for auction today. Egan checks his email, foreign exchange rates or flips through the Spanish décor magazine Nuevo Estilo until the items he is interested in come up. Once his items come up he reaches down for his pallet. Egan already sits with impeccable posture, but a deep, preparatory breath pulls his shoulders back. Bidding begins. Even when the bids started getting higher, Egan remains composed. Unlike others who strike their pallets up in the air, Egan calmly flashes it, holding it up just enough for the auctioneer to acknowledge it. There was only one split second in which I saw a slight hand-tremble; not caused by hesitation or anxiety, but more likely caused by the rush of adrenaline of the moment. For the sake of not to revealing too much of Egan’s trade secrets or what he has purchased, I can tell you that throughout the morning, he purchased three Warhol’s; all of which went well over the €4500 bidding mark. In my opinion, they will be exquisite additions to the new gallery. There is still a list of final items to be announced before the afternoon break. Egan is not interested in any of the following items so he says “Let’s get out of here and have lunch!” We wait for a pause between items and scoot by the others in our row. It’s done. The auction house will wrap them and he will send one of his assistants to pick them up. In the next three days, his new Warhol’s will be ready for hanging in his office.